The Indiana University East School of Nursing and Health Sciences honored three individuals and Reid Health with excellence awards during its upcoming gala “Igniting Innovation” held this evening in the Whitewater Hall Lobby. Honorees are Kim Freeman, recipient of the Excellence in Nursing Award; Pauletta Hummel, recipient of the Outstanding Nursing Alumni Award; and Shaun Steele, recipient of the Friend to Nursing Award. The Innovation in Health Award honored Reid Health. Billie Kester received the award on behalf of Reid Health. The nursing gala is a night of dinner, music, and celebration of nursing. Entertainment was provided by Jerry Wilde and Jay Barbre. Wilde is the dean of the School of Education and Barbre is the director of Graduate Programs in Education and an associate professor of education at IU East. Contributions from the Nursing Gala will benefit the IU East R.N. to B.S.N. Scholarship Fund and the IU East Nursing Scholarship Fund to provide scholarships for nursing students. Reid Health has initiated a new form of healthcare delivery utilizing technology to meet patients where they are in their care. Reid has taken on three forms of telehealth delivery; virtual visits, remote patient monitoring, and cart-based telemedicine visits. Virtual visits are conducted using a mobile application to connect with a provider for an immediate need. Remote patient monitoring uses a tablet connected to Wi-Fi in a patient’s home setting to monitor patients with chronic conditions and provide feedback from that monitoring to a nurse who reviews the data collected. Cart-based telemedicine visits bring specialty care to areas that do not currently have access. These cart-based visits are expanding throughout Reid’s service area and have included specialty services such as psychiatry, neurology, oncology, and rheumatology. Patient satisfaction for all forms of telehealth being delivered is very high and patients frequently relay that they appreciate the convenience that the services provide. Freeman has experienced educational mobility at its best. Starting as an LPN in 1998, Freeman continued her educational journey receiving an ASN from Edison Community College, a B.S.N. from Indiana Wesleyan University, a M.S.N. from Ball State University and a Doctorate of Nursing Practice from Indiana University in 2017. Freeman has devoted a large part of her career to Wayne HealthCare. Serving as vice president of Patient Care Services, chief nursing officer. During her tenure at Wayne HealthCare, she has had significant impact on the healthcare of the area. She lead an initiative to redesign Wayne HealthCare’s care delivery model as well as facilitating a $42 million expansion to include Preoperative services, the emergency department and ICU. She continues to work on quality improvement and community collaborative to better coordinate care. 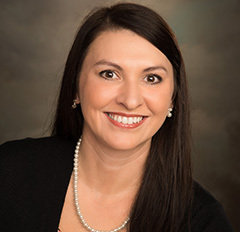 Freeman is a certified nurse executive advanced through ANCC. Her expertise and service is widely sought and she serves on the boards of the Northern Miami Valley American Red Cross, the American Organization of Nurse Executives Advocacy Board, the Edison Community College Nursing Advisory Board, the IU East School of Nursing and Health Sciences Advisory Council and the Upper Valley JVs Nursing Advisory Board. She also is involved with the Ohio Organization of Nurse Executives, the Ohio Nurses Association and the Oncology Nurses Association. Hummel began her nursing career at IU East in the A.S.N. program. Her desire to make a difference in the lives of patients motivated her to continue her nursing education. She received her B.S.N. degree from Indiana Wesleyan University and her M.S.N. from Maryville University. 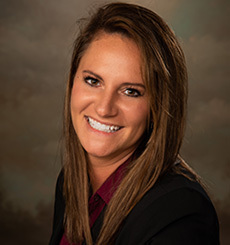 She also completed a certification in Family Nurse Practitioner and she is currently enrolled in the Doctorate of Nursing Practice (DNP) program at Maryville University. She has had a distinguished career as a nurse and nurse practitioner. From her roots in critical nursing to the provision of primary care, she continues to have an impact on the health of clients and her community. Hummel is a board certified adult, geriatric and family nurse practitioner. She is employed at St. Vincent Medical Group Family Medicine Clinic and as a hospitalist provider at St. Vincent Randolph Hospital. Hummel is a captain commander registered nurse/nurse practitioner critical care nurse in the United States Army. 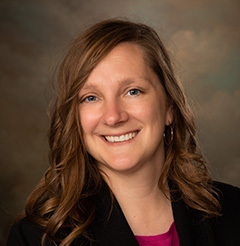 She has sought out opportunities to mentor, educate, and motivate the next generation of nurses, serving as an adjunct clinical instructor for Ivy Tech Community College and Ball State University. Steele is a great friend of nursing and healthcare. Serving the last 17 years in administrative positions in extended care, Steele has focused on the provision of the compassionate and excellent employee engagement and quality customer service. Shaun is currently the Area Executive Director for Triology Health Services Ashford Place Health Campus. He received his B.S. in Business Administration from IU East and holds an Indiana Health Facility Administrator License. He contributes his expertise to the various community and health related organizations. 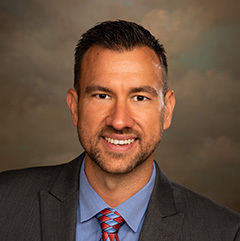 He currently serves on the IU East and Ivy Tech Advisory Boards, the East Indiana Area Health Education Center Board of Directors, the Healthy Shelby County committee, and the Franciscan St. Francis ACO CNN committee. Steele is a mentor for Blue River Career Programs and Ivy Tech Shelbyville. Steele made significant contributions in the past through his service to the Indianapolis Patient Safety Coalition, the Indiana Medical Director’s Association, Big Brothers Big Sisters of Fayette County, and the Connersville Chamber of Commerce.